In addition to three new figures, the Banimon Shop has a swell new t-shirt up for ordering right now. At press time, just over 140 of each style remain in stock. 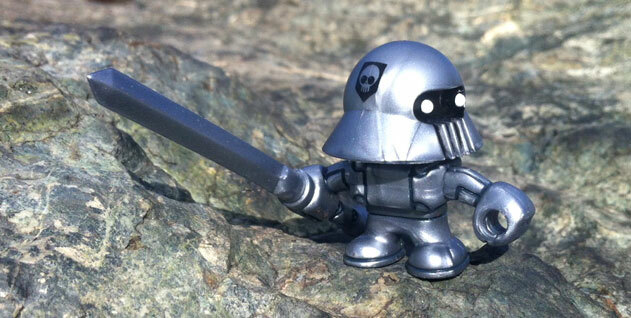 We're big fans of the little guys and highly recommend getting at least one of them if you have any sort of Glyos collection going. Click here to see what's left! During the last shipment of Glyos figures, fans may have been treated to unique premium freebie items. One of which that many people have reported getting is this Gold Crayboth which I'm calling the "Crayboth Urballim" until someone corrects me. As far as I know most if not all orders got one. He's awesome. I love Crayboth figures. You may have also received a partial pink extra set, with a Pheyden head torso. It is gorgeous. I hope you did. I also hope Onell Design gives some thought to selling arm/leg packs in 2013. I'm crossing my fingers! Selling out super-quickly a few days ago, the Onell Design Syclodoc included an all-new head (not pictured) with one big eye inspired by one of Japan's great robot franchises. What you may not have known (as pics weren't shown) is that it included a second head. A classic Armodoc head was also included, decked out with black, white, grey, and dark red paint. It matches perfectly on the body and is a heck of a nice bonus! Press Release: The Power Lords Return! So here's what we know. So it'll be like the Outer Space Men, sort of. Our good pal Doctor Kent sent along a press release, which shall be presented forthwith! "The Mayan year 13.0.0.0.0 has begun. As foretold in 669 AD by the famous prophesy carved into Monument 6 in the Mayan site of Tortuguero, this date signals the return of the "Bolon Yokte Ku" -- The Nine Lords of Power. It is therefore, with great reverence, that the Four Horsemen of the Toypocalypse hereby proclaim the return of the Nine Power Lords and reveal the identity of a Tenth who dwells among us and has the power to save us all." Four Horsemen Toy Design Studios are proud to announce the return of Power Lords: The Extra-Terrestrial Warriors action figure line. It's been 30 years since world-renowned sci-fi artist Wayne Douglas Barlowe originally designed the ground-breaking Power Lords toy line released by Revell. Four Horsemen Toy Design have just acquired the Power Lords license and signed Wayne Barlowe as a creative consultant to help bring the Power Lords back in action figure form. 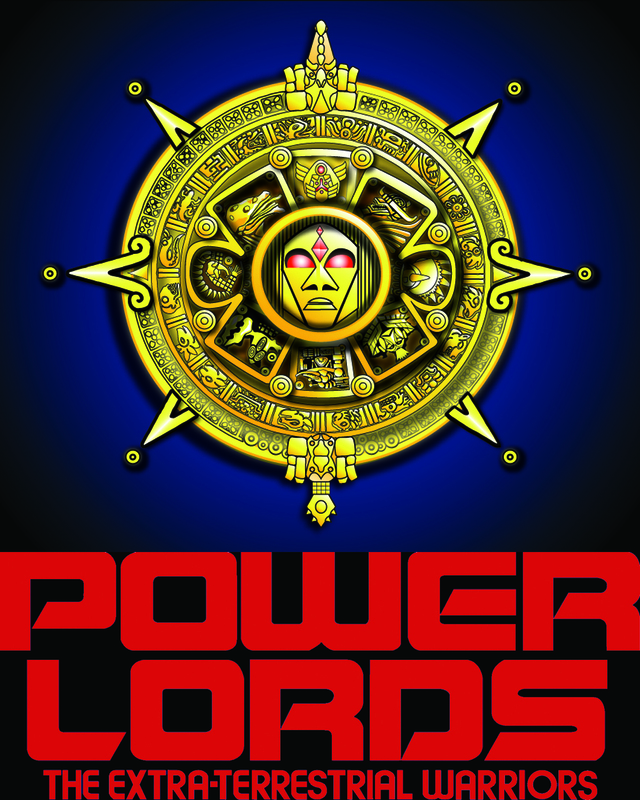 To get updates about upcoming figures and events as well as a complete history and our ever-growing archival galleries for Power Lords please keep checking powerlordsreturn.com. It's sort of funny to see that the driving force of bringing attention to 1980s girl toy brands to adult collectors is dudes selling to dudes. (See: She-Ra, some of My Little Pony.) Callgrim Fragarian is a fancy redeco of Callgrim colored and scented to resemble the original Kenner Strawberry Shortcake dolls. Really! The figure carries a hefty price tag because of the added deco, plastic colors, and scent, but... c'mon. And you get a trading card! The only way this figure could be any cooler was if the pale red/pink segments were that glow-in-the-dark "Solaris" plastic. Saturday December 22, 2012 at 9:30 EST! That's when you can order 3 new Banimon figures that can't possibly arrive in time for Christmas. New white, silver, and red figures will be available, keep an eye on the Planet Banimon Blog and of course the Banimon Shop for more. Our pal the Verexxan Armorvor seems to be built off the same basic color layout as the Venjorun Armorvor from earlier this year, except it's grey rather than red... with a few other changes. His eyes are red, his accent color is still a grey, and the furry part of his head is a pale orange rather than a bright white. 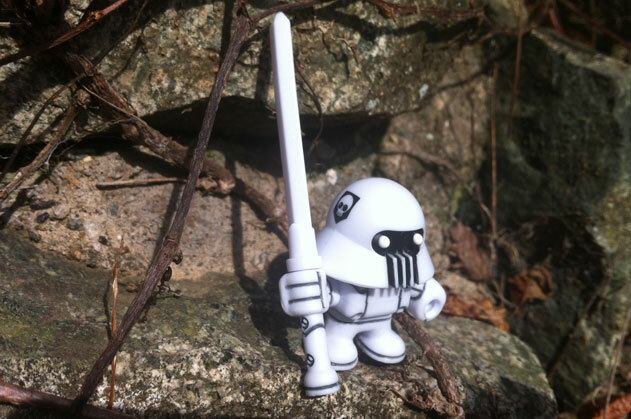 To the left, find the Glyos Drop menu for December 12, 2012. The Syclodoc sold out in about 4 minutes, while the gold Aurustell Elite Armorvor sold out pretty quickly afterward. I suggest you visit the store now and see what's left. Onell Design has a new drop tonight in about 20 minutes. This is just a reminder post. We'll post more later. The new Banigoth Winter Operations figure is up (to look at) at the Banimon blog, with no known release date just yet. It has a tampo similar to the Iron Guard figure shown previously, and is quite white. (And bright.) See more here. Over at the Planet Banimon Blog, it's another preview! The Iron Guard is a new silver figure and it looks pretty great. No release date listed, but the deco is solid and there's a new tampo on the helmet. Your pals and mine at Banimon posted a new blog entry with the Fire Eaters figures. He's red, with black eyes and a yellow star on the helmet. (Pretty.) I assume if you drink Leninade, you'll want one of these next to your empty bottle. For more, visit the Banimon blog. At this time I saw no price or release date.